Home » Paid » 100 Coins » Lou Oshiba: All Together Now! 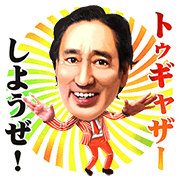 http://www.line-stickers.com/ – Lou Oshiba: All Together Now! 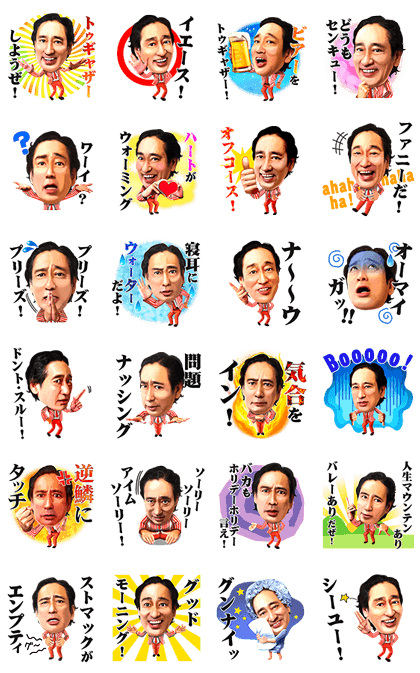 Line Sticker | Join comedian Lou Oshiba in saying his trademark catchphrases that have taken the world by storm in this set featuring all original recordings! When tapped, these stickers will play on iPhones even in silent mode. Name LINE Sticker: Lou Oshiba: All Together Now! Copyright : Carino / ©2016 GignoSystem Japan,Inc.